The federal Ways and Means Committee within the House of Representatives has passed bills that could eliminate contentious restrictions current placed on flexible spending accounts (FSA). 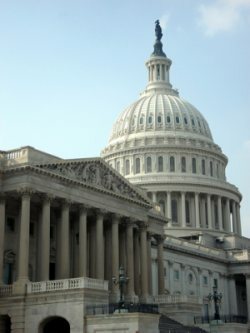 The first of these bills, entitled the Medical FSA Improvement Act of 2011, was passed overwhelmingly with a 23 to 6 vote. Should it be approved by the full House and Senate, the bill would change the use-it-or-lose-it rule requiring employees to forfeit leftover balances in medical flexible spending accounts to their employers. The amendment would give employees the opportunity to withdraw up to $500 in taxable cash for up to 7 months beyond the end of their plan’s grace period. The IRS is already considering altering the rule due to the new $2,500 FSA contribution cap arriving in 2013. This cap will limit an employee’s ability to defer substantial tax-free compensation into an FSA. The second bill, called the Restoring Access to Medication Act, won by a 24 to 9 vote would overturn the rule forbidding the use of FSA’s from reimbursing expenses for over-the-counter drugs purchased without a prescription. The rule, introduced in last year’s healthcare reform law, was found to create an annual 50 million unnecessary doctor visits and billions of excess medical charges by the Consumer Healthcare Products Association. Both bills are scheduled to be brought to the floor of the full House during the week of June 11, 2012.